Here is today’s strange but very real news: There’s talk that Tom Hardy might play Jafar in Disney’s upcoming live-action Aladdin remake. Upon first hearing this news, cool. Tom Hardy is a pretty big movie star with successful (and blockbuster) movies under his belt. He’s Bane. He’s going to be Venom. He’s Max, of Mad Max fame. You know his name, you know his movies, and while I do not know Tom Hardy myself, he appears to be a nice guy. If Tom Hardy is in your movie, it’s probably a good sign. And now, upon really thinking about this Tom-Hardy-as-Jafar news, no. No, no no. Hard pass. Nope. There are good ideas, and then there’s the idea to cast a white, British male in a prominent role for a movie set in a fictional Middle Eastern country, and no. This would be a clear instance of whitewashing — something Disney is already very familiar with — and all along, we heard that Aladdin would not go that route. Earlier this year, Disney even announced that they would be holding an open casting call for Middle Eastern actors and actresses for the roles of Aladdin and Jasmine. So much yes to that. 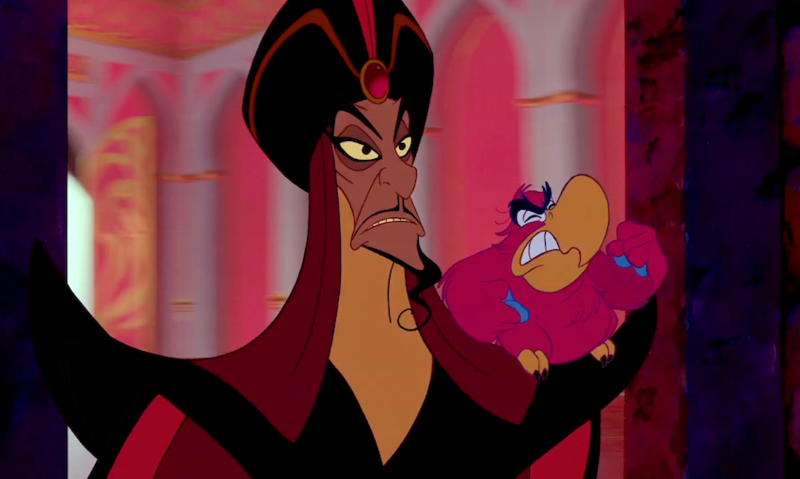 But now, Jafar. Needless to say, the internet is like a hot second away from rioting. Everyone is in agreement that Tom Hardy is great. However, not great for Aladdin. I love Tom, but hell nah. This casting news is by no means confirmed, so Disney still has plenty of time to not cast Tom Hardy as Jafar.